Volunteering supports the most essential services for those who are homeless or living on the edge of homelessness. Our volunteers are a diverse group: Students, retirees, former clients, families, community groups, faith organizations, and employees of local companies. 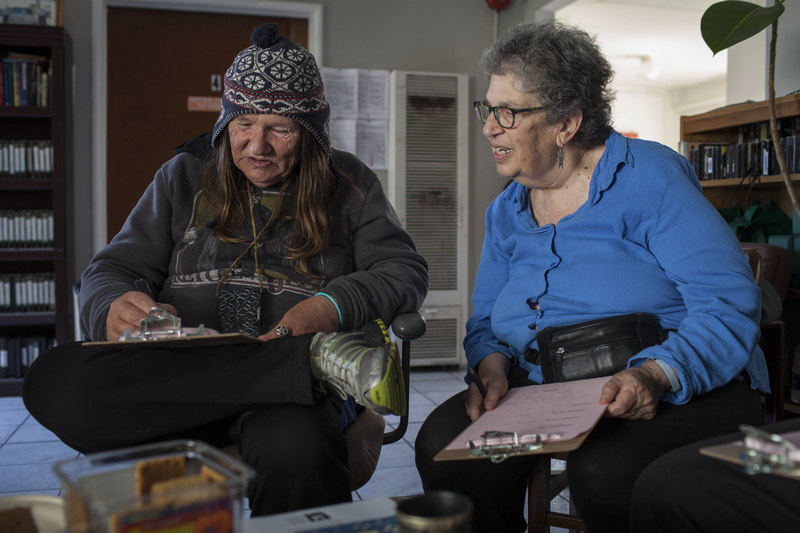 For our ongoing service opportunities we ask that volunteers commit to a regular shift of at least three months, however we are willing to work with your availability and needs. Each weekday, except Wednesday, we serve a free, nutritious meal to around 100 members of the community who are homeless or on the verge of homelessness. How: Click here to SIGN UP! If you would like to sign up for a recurring shift email volunteers@bfhp.org. Help to serve dinner to the women staying in our Women’s Overnight Shelter. How: Click here to SIGN UP! Note: This shift is limited, as we only need one volunteer per day. If you would like to sign up for a recurring shift email volunteers@bfhp.org. During the week our Meals Program prepares meals for multiple programs in the kitchen at our Dwight Way Shelter. How: Click here to SIGN UP ! Note: This shift is limited, as we only need one volunteer per day. If you would like to sign up for a recurring shift email volunteers@bfhp.org. A hot and nutritious meal is offered each evening for the men and women in our shelter. These meals are in large part provided by generous community groups and organizations that want to give back to their less fortunate neighbors. What: For this volunteer opportunity groups purchase and bring in food for the meal, prepare it in our fully equipped kitchen, serve the approximately 75 people staying in the shelter that night, and clean up afterwards. It’s perfect for about 4-8 people per group (more than 10 will not fit in the kitchen), and we highly encourage our volunteers to socialize with the men during the evening. Read for more info: Facility Information and How-to. BFHP occasionally has need for volunteers to help with unique projects such as cleaning, maintenance, organizing donations, creating care packages, or administrative tasks. We are also regularly included in recurring service projects coordinated by other local organizations.